MT101 Insta Cure Super Thin Ca Glue 1/2 Oz. ABC58 Brush Set, 3 pcs. by Model Airways with Laser Cut Wood & Photo-Etched Brass Parts! 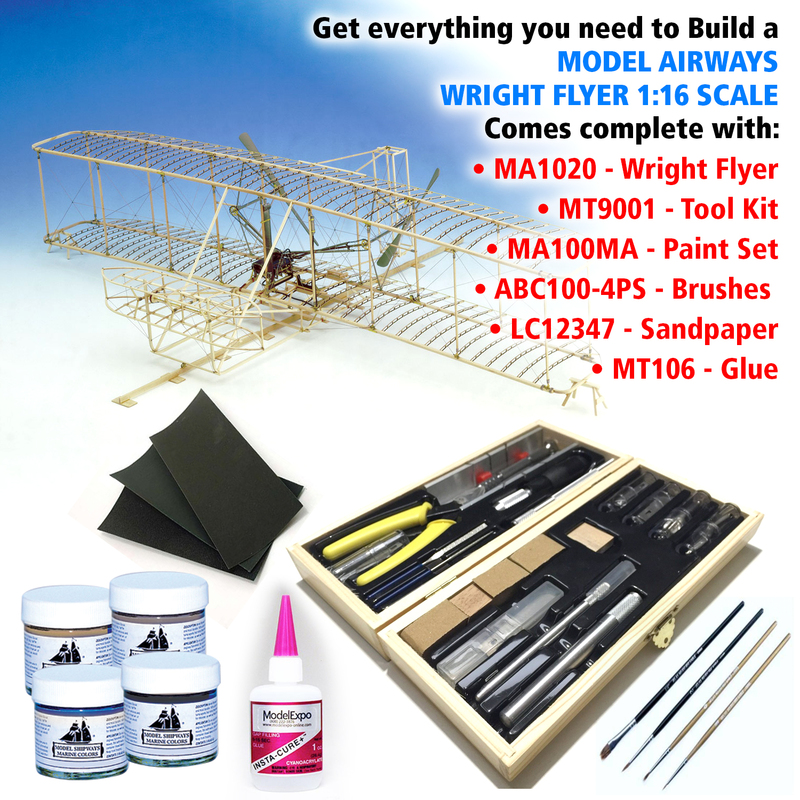 The most detailed and accurate Wright Flyer kit ever made! 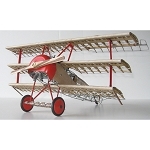 This true-to-life static model reproduces virtually every detail of the real aircraft. We've designed our model without the customary fabric covering to show its fascinating structural components. 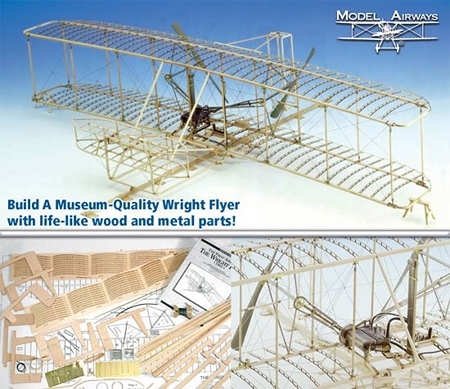 Model Airways' Wright Flyer kit contains laser cut basswood parts for ribs and other wooden components plus a host of Britannia metal parts for building the engine, complete with cylinders, magneto and radiator. We include brass chain and over 160 photo-etched brass parts for fittings and braces to simulate the Wright Brothers' construction methods. 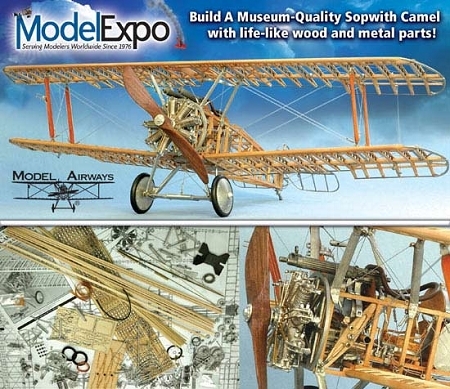 Three detailed, actual size plan sheets and a 28-page illustrated step-by-step assembly manual will assist both novice and expert modelers in the completion of a museum quality model. All the essential knives and tools for model building! Includes light, medium and heavy duty knives with 15 assorted blades, 4 gouges, pin vise with number drills, 2 needle files, aluminum miter box with razor saw and handle, pointed nose tweezers, pinpoint awl, flush cutter with comfort cushion handles, plus wooden sanding block and wedge. This workshop in a box is heavy on value and long on convenience! INSTA-CURE has a water-thin viscosity that wicks deep into joints by capillary action and cures in a matter of a few seconds. Surfaces to be bonded must be tight fitting and should be held together while you apply the CA around the edges of the seam. It works very well on balsa, since it penetrates into the wood and forms more than just a surface bond.